Australia say they will “leave no stone unturned” as they attempt to have Huddersfield’s Aaron Mooy available for the Asia Cup in January. The midfielder has been ruled out until February after he tore the medial collateral ligament in his right knee. But Football Federation Australia said it would conduct its own assessment. “With such an important tournament coming up we want to explore every option available,” Socceroos head coach Graham Arnold said. 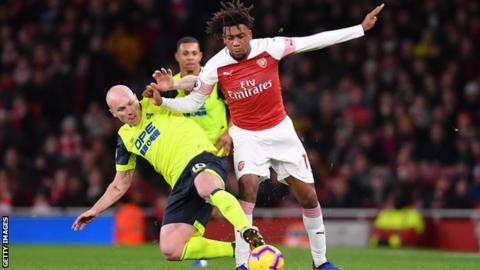 The 28-year-old, who has 39 caps, was injured in Huddersfield 1-0 defeat by Arsenal on 8 December. The FFA said it was now sending its senior physiotherapist, Phil Coles, to the UK next week to conduct its own additional review of Mooy’s injury. “Of course, Aaron’s long-term career and fitness remains our primary concern and we will not rush him to return to match play before he is safe and confident to do so, however we are also committed to leaving no stone unturned in our attempt to have him available for us at the tournament,” Arnold said. The Asia Cup, which takes place in the United Arab Emirates, begins on 5 January and Australia’s first game is against Jordan on 6 January.